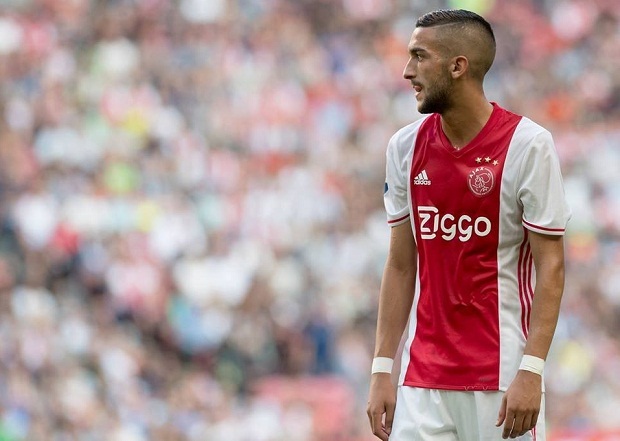 Arsenal are reportedly keen on signing Eredivisie title chasers Ajax playmaker Hakim Ziyech in spite of the star apparently being stuck in a ‘tug-of-war’ between German giant duo Bayern Munich and Borussia Dortmund. According to a report in a Swiss French-language daily newspaper Le Temps, the Gunners are one of a host of clubs who are keen on 26-year-old Hakim Ziyech who is understood to be worth €50 million. The attacking midfielder, who is also capable of playing as a right-wing attacker, has 15 goals and 13 assists in 24 Eredivisie matches this season for de Joden, it is not hard to see why he is in demand. The Gunners are in the transfer market for a wide man or two but it is uncertain that the club will be able to fight of other European giants paying €50m for stars. This is not the first time the north London heavyweights have been connected with a move for Hakim Ziyech. Speaking back in October his agent said he was hoping for a switch to Arsenal or Liverpool. “I hope that there will be a better club than Roma, an Arsenal or Liverpool”, Rene van der Gijp said. Meanwhile, LOSC Lille’s main man Gerard Lopez has confirmed Gunners and Bayern Munich target Nicolas Pepe will depart the club at the end of the term. Arsenal could sell versatile midfielder Granit Xhaka in the summer transfer window to raise money for other transfers – and one Italian club are particularly keen, the latest report from the Italian press states. Granit has been at the Gunners since 2016, making more than 100 matches in that time. However, the north London outfit could be ready to part company with the Swiss star, as they plan to pursue other targets. Italy could be a possible destination for the 26-year-old star. 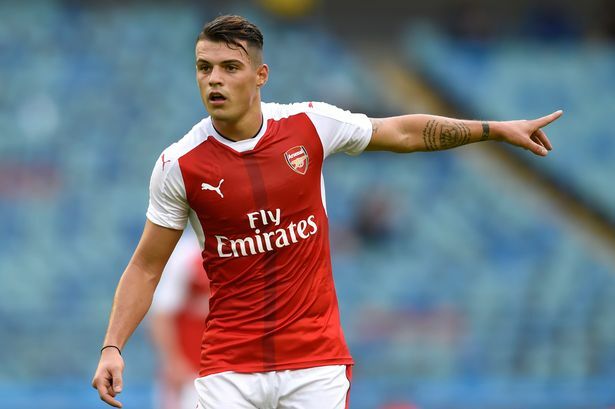 According to reports in the Rome-based daily sports newspaper Corriere Dello Sport, Luciano Spalletti’s Inter Milan have been keeping tabs on Xhaka. Nerazzurri ready to spend big to help them catch up with Massimiliano Allegri’s Juventus in Serie A, and the midfield is one of the key departments they may keen to replenish. Granit is not Inter Milan’s first choice for the position but may be a more realistic variant than their other targets, Barcelona star Ivan Rakitic and Real Madrid midfielder Toni Kroos. Arsenal management are ready to sell Xhaka, considering that their current transfer kitty is only in the region of £50 million. However, any possible sale would leave the club light in terms of midfield options, with Wales international Aaron Ramsey already on his way out to Inter Milan’s bitter rivals Juventus. 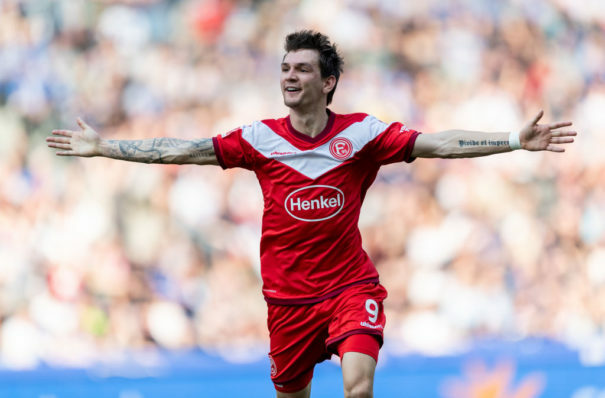 A host of Premier League clubs are keeping tabs on Fortuna Dusseldorf forward Benito Raman. Arsenal, Everton, Burnley and West Ham United are all keen on the player, according to The Express. The 24-year-old attacker has caught the eye of English sides who are keen to sign the former Belgium U21 international. His current club are cash-strapped and the newspaper believes that the management will offload their winger this summer and they value him at £15 million. If Germans can get their full valuation for the key man with 10 goals this campaign, it will represent a massive profit. The Bundesliga side purchased Raman for just £1 million from the Belgian star Standard Liege last summer. West Ham United, Everton and Arsenal are all interested in signing the star and considering their status the club would possibly hold an advantage over Burnley. Whoever does sign Raman will get themselves a prolific goalscorer with a decent pedigree and for a great price. Whilst he is not a proven Premier League star, his showings at Dusseldorf suggest Benito has the qualities to make the grade. Everton is reportedly the most interesting club given that manager Marco Silva is desperately short of a proven wide man. There’s a reason to suggest that Raman would play more football at the Toffees, whilst a move to West Ham United or Burnley would allow the Belgian to do the same. The Gunners are clearly the biggest of the connected clubs but there’s an argument to suggest that his game time will be restricted at the Emirates Stadium.